If you want to redeem a promotional code on the Scholastic Shop, you will need to enter it at the payment step of the checkout. Step 1: Add the products you want to buy to your basket. Step 2: Select the ‘Checkout’ button at the top right of your screen. Step 3: Proceed through the checkout, entering your personal details and choosing your preferred delivery option. 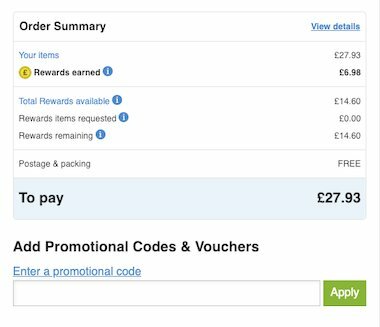 Step 4: When you get to the payment step of the checkout you’ll find a section called ‘Add Promotional Codes & Vouchers’ underneath the order summary. Select ‘Enter a promotional code’ and type the code you want to use into the box that appears. Step 5: Check your order summary or review your basket to make sure that the expected discounts have been applied. Step 6: Continue through the checkout and place your order.